Outdoor awnings can transform a simple window from an essential, if lackluster, aspect of home design to an integral part of your home's decor that adds elegance and visual impact to the overall look. 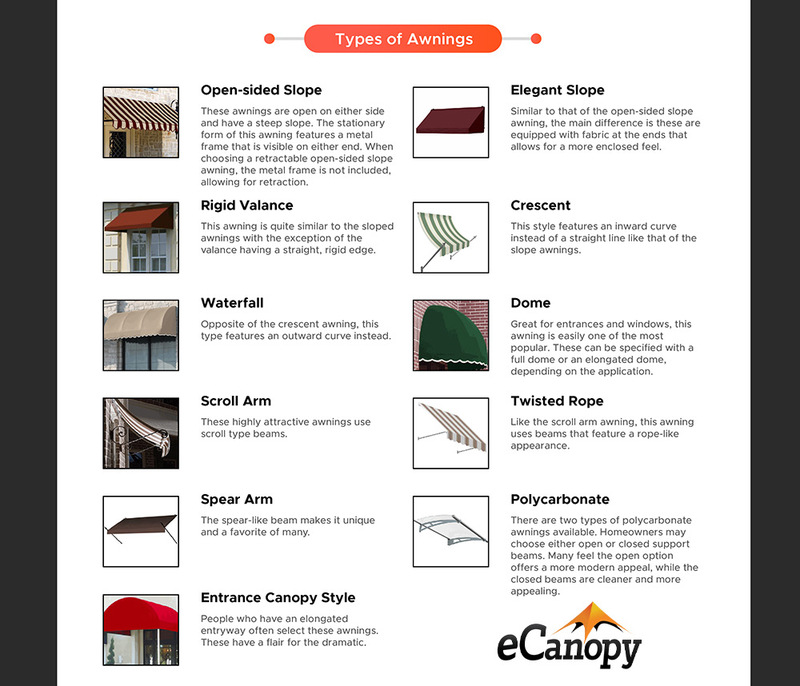 Here at eCanopy.com we know how important awnings can be, which is why we offer a huge selection of the highest quality awnings for sale in every color and size under the sun. Our house awnings offer a number of benefits, from reduced UV rays, to cooler temps, and it's all thanks to they shade they provide. Not sure what awning to purchase? Check out our Awning Buyer's Guide below written by one of our specialists and find the right awnings for home and business today. How much is shipping on average? We offer free shipping to the lower 48 states on all orders over $99. If you need your item in a hurry, expedited shipping options exist as well. We encourage you to reach out to our customer service department directly at 1-800-445-5611 to ensure rush orders are shipped as quickly as possible. Our reps will also be able to verify if expedited shipping is needed, as we ship from several locations and one may be close enough to meet your needs at the free shipping rate. Do you make a 20' awning? Please contact Awntech Awnings directly for details about your custom awning. I'm looking for a light weight tarp with grommets that will hold up in sun light and be water proof to attach to my awning rail of motor home and support it on opposite corners with poles and shock cord so when it gets windy the shock cord will give instead of the trap tearing (22 feet long 10 feet wide). What would it weigh? A 10' x 24' would weigh about 42 lbs. We do not carry a 10' x 22'. I am looking for the remote control unit for an Awntech retractable awning; the manual says it's a model SH3. Is there a replacement remote for this unit? Thank you. Please contact the manufacturer, Awntech, directly, as we only carry the full awning. Where can we see the colors of an awning? As an online retailer, we do not have any locations where the products may be seen. If our door is standard 36" wide and, with trim, is 40" wide; then how wide should our awning be? This answer is based on if you want the awning to cover your doorway and trim or just the doorway. This is the preference of the customer. You will need a 3 ft awning if you only want to cover the doorway. You will need a 4 ft awning if you want to cover the door and trim. I don't have a manual for my Dallas Retro Style Awning as I am trying to take the fabric piece off the Velcro during the winter and would like to see the manual. Do you have the manual online? What size of door canopy should I install above a 36" exterior door? You would need to choose a 3 foot wide awning. These awnings are made with an extra 2.24 inches on each side to allow for mounting. For example, an awning listed at 3 foot wide is for a 3 foot wide opening and actually measures 41inches. The manufacturer does not recommend painting the awning. Do the retractable awnings--20 ft. or 24 ft. come in red and white? Yes, we do have a red/white option for a color choice in the 20' and 24' retractable awnings. 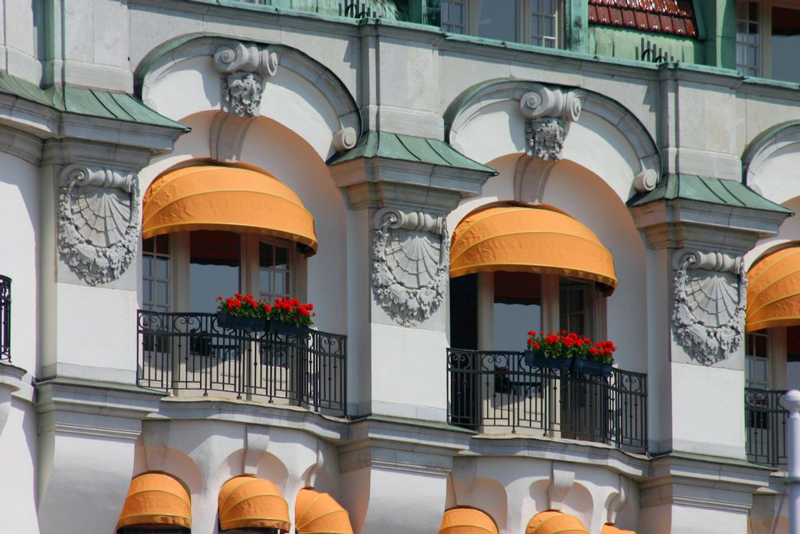 Where are the traditional window awnings made? The traditional window awning models are manufactured by Sunsational. They are based in Phoenix, Arizona. Do I need a wind sensor for a 16' retractable motorized awning? Per the manufacturer, a wind sensor is just an added accessory. It is not mandatory. We do not offer this accessory. What colors does the Awntech Maui 16' come in? How do I install this? Please see the complete color selection below the item picture on the main item page. Here's a link to the manual. Will a new awning add the style and functionality your home or patio needs? To answer this question, one must first know the basics of choosing an awning. In this article, we will discuss the different types of awnings and the benefits associated with each. 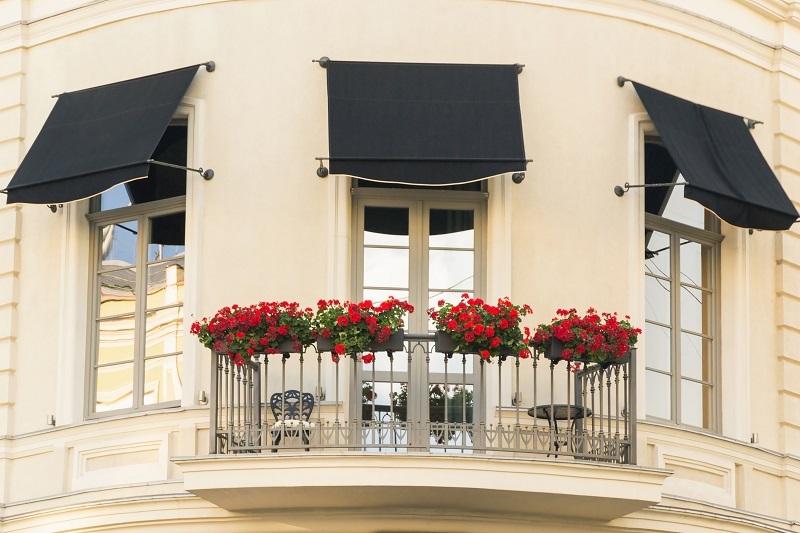 Knowing personal preferences, local rules and regulations, and what benefits awnings provide a home will aid you in making the most informed decision possible. By the end of this article, you will understand the differences in each awning, and have a better understanding of whether or not installing one is suitable for your home's appearance. As with any other purchase, you should feel confident about spending your hard-earned money on an awning. To gain that confidence, you need to educate yourself on which awning to purchase. This will also help your search by narrowing the options available to you and your needs. There are several benefits to adding an awning to a home or patio. If a home requires an upgrade to its appearance due to age or in addition to a remodeling project, installing awnings are a great way of not only drawing attention to your home but to giving it a modernized feel. Awnings also provide homeowners shade from the heat of the sun, a comfortable place to sit and enjoy the nature around their home and avoid other weather-related issues such as rain. For commercial properties awnings are a way of improving the appearance of any building. Customers will find themselves appreciating the attention paid to your décor when visiting your store front or office. When making the decision to install an awning or other type of patio shade to your home or business it is important to go through the proper channels. Consulting your local code authorities to discuss obtaining any necessary permits or permissions is key before starting any type of installation on a property. Homeowners Associations must also be consulted and will usually have specific guidelines about what can and cannot be installed. Some authorities will require that you already have the awning style, size, and color documented for their consideration. Be sure to verify what is needed ahead of time so that multiple calls and trips to the code office are avoided. Once all permissions are granted, it is crucial to communicate with the installers and ensure they have all documentation pertaining to the installation on hand. This will ensure that there are no delays or stop work orders issued during both scheduled or impromptu code inspections. Once a permit has been issued and if you have not already submitted plans for approval, placement and sizing of the awning will be the next step. When you decide where to place your awning, whether it be a door, window, or patio awning measuring the area to be covered is a must. Measuring all dimensions of the coverage area is key to a proper installation. This means all aspects must be taken into consideration such as opening clearance for windows and doors. 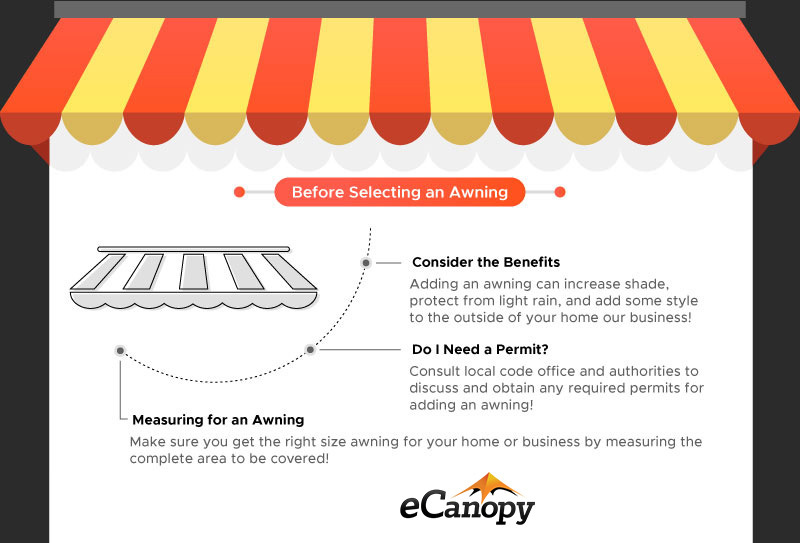 There are several factors to consider when installing an awning to a home or business. Keep the structure of the building and material used in the construction in mind during this process as it will affect your outcome. Choosing the style of awning for your home can be quite enjoyable. There are many colors and styles available for those who tend to lean toward stationary awnings. Those who are interested in retractable awning may find themselves with less options to choose from. Open-sided Slope Awnings — These awnings are open on either side and have a steep slope. The stationary form of this awning features a metal frame that is visible on either end. When choosing a retractable open-sided slope awning, the metal frame is not included allowing for retraction. Elegant Slope Awnings — This style is quite similar to that of the open-sided slope awning with only one main difference. The elegant slope awnings are equipped with a fabric at the ends that allows for a more enclosed feel. Rigid Valance Awnings — This awning is quite similar to the previous two style with the exception of the valance having a straight, rigid, edge. Crescent Awnings — These styles of awnings are like that of the slopes but include an inward curve instead of featuring a straight line. Waterfall Awnings — This awning is the opposite of the Crescent and features an upward curve instead. Dome Awnings — Great for entrances and windows, this awning is easily one of the most popular. With its dome appearance it can be with a full dome or more elongated depending on the placement. Scroll Arm Awnings — These highly attractive awnings use scroll type beams that most people adore. Twisted Rope Awnings — Like the scroll arm awning, this awning uses beams that feature a rope-like appearance. Spear Arm Awnings — This awning is quite popular. The spear like beam makes it unique and a favorite of many. Polycarbonate Awnings — There are two types of polycarbonate awnings available. Homeowners may choose either open or closed support beams. Many feel the open option offers a more modern appeal, while the closed beams are cleaner and more appealing. Entrance Canopy Style Awnings — These canopies have a flair for the dramatic. 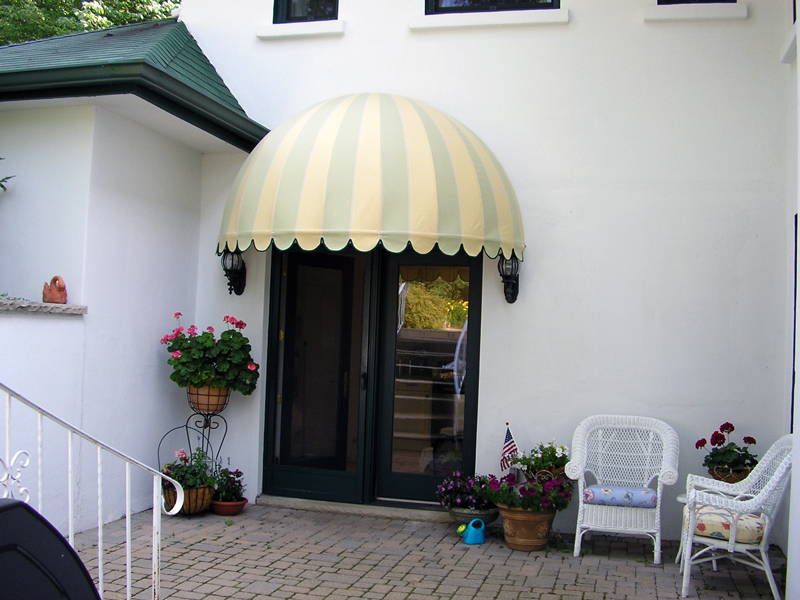 People who have an elongated entryway often select these awnings. Awning covers are typically made from either cotton or polyester. These materials are treated to preserve the integrity of the awning itself. When choosing a polyester made awning, people generally find this material to be quite breathable and able to withstand the weather quite well. UV rays are blocked while still allowing in a bit of sunlight. When cleaning these awnings, it often only requires a simple wipe down with a cleaning cloth. Cotton is one of the more traditional awning materials. Cotton is durable, inherently strong, and weatherproof. Cleaning this cover requires a run in your washing machine. Coatings are added to awning covers to help them last longer. Vinyl, laminate, and acrylic coatings are used to further strengthen the materials awning covers are made from. Acrylic coating helps keep the awning materials from fading, while vinyl and laminate add fire resistance and an extra layer of water resistance. Polycarbonate is another option for making awnings. This material offers UV protection and reduces light transmission. It will also add a durability that will make your awning practically unbreakable. Awnings, like many other additions you can add to your home, have a string of accessories you can purchase to add for ease of use. This is especially true for retractable awnings. The most popular of these accessories are motorization, weather sensors, and weather guard covers. Motorization controls make retracting and extending your awnings a breeze. This control adds automation to your awning, allowing you to use a remote control or wall switch to handle operation. In many cases, people find themselves enjoying their awnings even more when controls are simpler. Weather sensors are a great tool for those who love the outdoors. Working with the motorization tools, these sensors detect wind, rain, and sun then automatically retract your awning accordingly. This convenience allows you to step outside without worry of the weather effecting you. It also helps protect the awning, itself, from severe weather. Weather guard covers are used for roof mounted awnings. They are great for providing protection to the first six to eight inches of the awning's fabric. This preserves the materials appearance and durability for an extended time. When thinking of purchasing an awning, you'll come to find there are four major brands most people choose from. These brands, Awntech, Sunsetter, Sunsational, and Sunesta each offers customers a little something different. Awntech — Awntech is a carrier of both stationary and retractable awnings made from acrylic treated fabrics. For styling purposes, they offer a wide range of solid colors and striped patterns to choose from. Sunsetter — Sunsetter is primarily a retractable awning provider but does carry a few stationary awning options. They offer customers a choice between laminated or acrylic fabrics. Their style options are limited for those in search of solid colors, but they do carry an extensive line of striped fabrics available. Sunsational — Sunsational is a provider who offers primarily retractable awnings made from acrylic materials. Their style options are quite extensive offering many colors and patterns to choose from. Sunesta — Sunesta is a provider of both stationary and retractable awnings made from acrylic treated fabrics. Their style options are quite extensive offering many shades and patterns to choose from. Awntech and Sunsational are brands offered by eCanopy! Stationary Awnings are exactly what they sound like. These awnings are installed to stay in one position. Using a welded metal frame, these awnings are great for areas such as windows and doors. Stationary awnings offer full weather protection. With a wide range of options and styles to choose from these are one of the most popular awnings available. These awnings are built to be more durable than other awnings but do come with a few drawbacks. 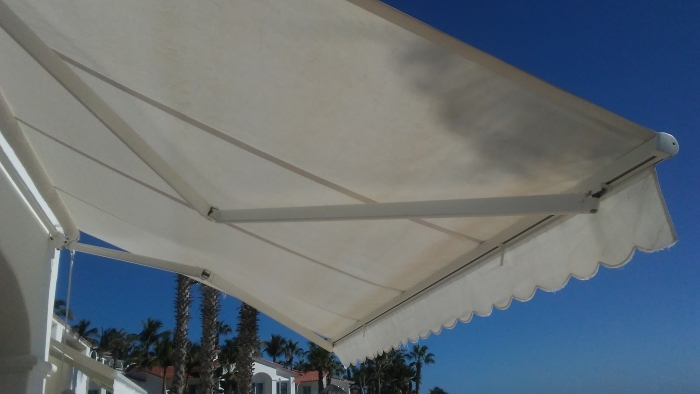 Often fixed awnings require more maintenance and upkeep, must remain in one position at all times, and need additional support to cover large areas. Retractable awnings are the other type of coverings available. These awnings also attach to the home at either a wall or the roof but are motorized giving them the ability to open and close at the owner discretion. A crank can be placed to make this possible or accessories, as mentioned above, such as motorization controls can be added allowing the use of remote controls. 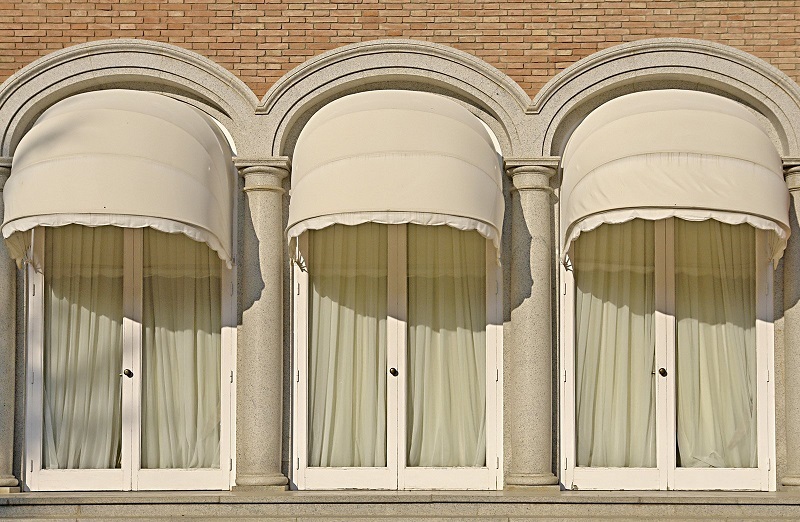 These awnings can be stored during bad weather to help maintain them. The downside to a retractable awning is the cost upon purchase and the inability to leave them extended in windy conditions. When installing a motorized awning, its important to ensure everything is properly measured and leveled. Using a magnetic torpedo level will ensure your awning is positioned correctly and no issues arise in the future. With several ways to mount these types of awnings possible, such as, eave mounted, wall mounted, and roof mounted, its important to carefully follow any directions according to the material your mounting area is constructed of. Ensuring all brackets are secured and all mounts are tightened will make your installation go smoothly. Installing a stationary awning is similar to that of a retractable one in that all measurements must be precise, and all brackets leveled properly before being attached. The key to installing any type of awning is to know the material you are attaching to. Whether it be concrete lap siding, wood or wood product siding, block, brick, faux stucco, or metal buildings, knowing your material and ensuring you have the proper tools to attach to that material will lead to a secure connection to any surface. As with any product, following the warranty and care instructions that come included with your awning is crucial. Read over all your information carefully and use the tips included to properly care for your new purchase. Also, refrain from doing anything that isn't recommended for your awning. This will void your warranty immediately. Keep awning clear of any debris and water. Never leave retractable awnings out in severe weather. Routinely check that fasteners are still tight. Follow all proper cleanings instructions. Air dry only. Roll up once fully dried. For retractable awnings, check wiring and wiring coverings routinely. Store the awning properly during the winter if it's meant to come down. When storing keep away from sharp objects. Whether you choose a stationary or retractable awning, your home will benefit greatly from this addition. Using this information to guide you in your purchase will allow you enjoyment, and relaxation from your newest home improvement.